On Friday-15 June the Bogota Bucs Athletic Hall of Fame will host their 2018 Induction Ceremony and Dinner. 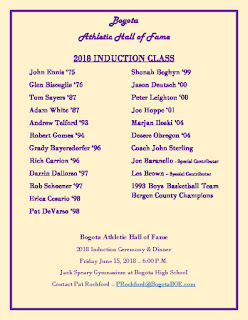 This year the team being inducted will be the 1993 Men's Basketball team, winners of Bergen County Championship. 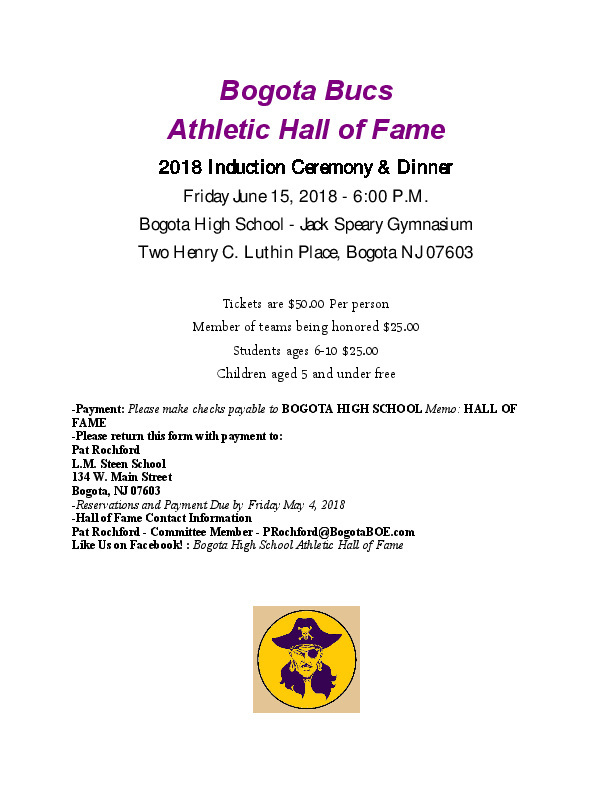 18 Students Athletes, two Special Contributors, along with Head Coach John Sterling will also be inducted. This will take place in Speary Gym starting at 6:00p. 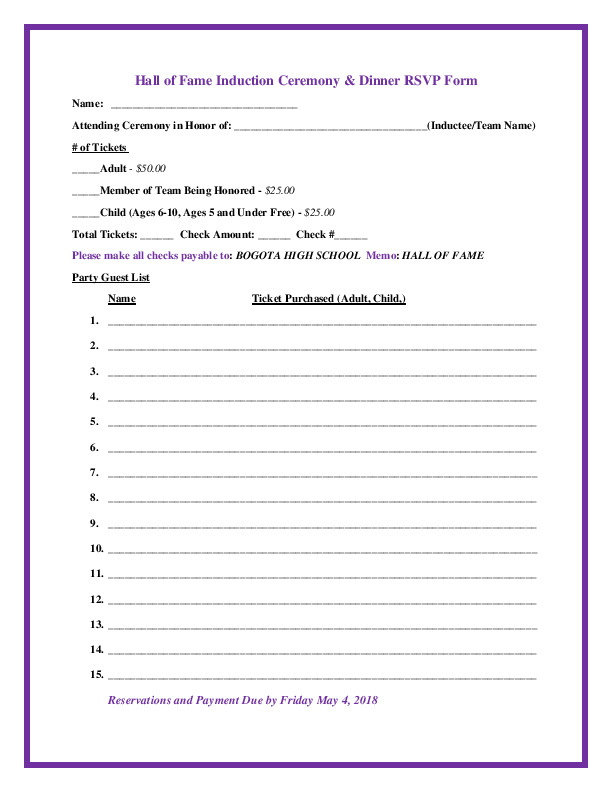 Tickets are $50.00 Per person, Member of teams being honored $25.00 Students ages 6-10 $25.00 and Children aged 5 and under free.